The history of Slovak theatre in the last hundred years is one of considerable changes. The beginning of the century found Slovakia part of the Austro-Hungarian Empire and still in a state of feudalism. For Slovaks, though no less for the other non-Magyar nations (Croatians, Serbs, Germans, Rumanians and Ruthenians) integrated into the Hungarian Kingdom, this meant severe oppression as the Budapest government pursued its ultimate goal of making Magyars of all of the country's population. This enforced Magyarisation elicited resistance not only from Slovak notables headed by the Catholic priest Andrej Hlinka, but also from a number of luminaries from other European countries, including the Norwegian Bjornstjerne Bjornson and the Britain Robert William Seton-Watson, also known by the pseudonym Scotus Viator. Slovakia, of course, as everywhere else in western and central Europe, did already possess a long theatre tradition - in its case one that had been evolving since the Middle Ages. As a consequence, and despite the sustained oppression of Slovaks in the Hungarian Kingdom, in the smaller towns and the villages theatre performed in the vernacular remained part and parcel of the life of the middle and lower orders of the Slovak population. In the 19th century the larger Slovak towns were toured by Magyar professional theatres, which were supported by the state and were to present the "mature" Magyar culture and assist in the Magyarisation of the entire Kingdom. Slovakia also received Austrian companies from Vienna, who brought refined and artistically mature performances of opera and drama. In the first two decades of the 20th century Slovak amateur theatre laid the foundations for the sharp progress that was to come. Above all, it managed, despite inimical circumstances, to maintain contact with European trends and to bring to our stages the realism and naturalism then in vogue. Domestic realist dramatists were performed (including Jozef Gregor Tajovsky, Jan Holly and Pavol Sochan), but so, too, were Anton Chekhov, Bjornstjerne Bjornson, the Mrstik brothers, Gabriela Preissova and Ivo Vojnovic. The plays of Aleksander Fredro, Johann Nepomuk Nestroy and Eugene Scribe proved popular, and Moliere, Friedrich Schiller and William Shakespeare were also tackled, as were, ultimately, symbolist works. One should not, however, gloss over the fact that, despite the remarkable endeavours of hundreds of amateur thespians, the state of affairs in Slovakia was decidedly grim. While other European nations had their own schools and advanced their own culture untrammelled, both Slovakia as a whole and its theatre remained essentially peripheral, notwithstanding its location at the centre of Europe. This situation, the result of chauvinism on the part of the ruling nation, was no longer acceptable in the European context, and it is little surprising that so aged a state as Austro-Hungary should dissolve with such ease in 1918. There can be no doubt that the creation of Czecho-Slovakia in 1918 arrested the further degradation of the Slovak nation and brought it nearer to the level of Europe's modern nations. Among those who did much to bring about the new state was the Slovak Milan Rastislav Stefanik, who, however, died in Czecho-Slovakia in mysterious circumstances in 1919. The feudal conditions of Austro-Hungary were replaced by the parliamentarism of the Czecho-Slovak Republic, and the benefits of democracy extended to the field of culture and, hence, to theatre. However, given that up to then Slovakia had lacked even a single professional company, everything had to begin virtually ab initio after 1918. The first step came with the establishment in 1920 of the Slovak National Theatre (Slovenske narodne divadlo), which had three companies: drama, opera and ballet. But this event itself - even at this early stage - revealed the adverse as well as the positive consequences of the political conception which informed the new Republic, namely the existence of not two nations - the Czech and the Slovak -, but one - the Czechoslovak. It was an idea that had no basis in reality. The Czechs and Slovaks had never prior to this time constituted a single nation. They were different in mentality, spoke different - albeit kindred - languages, and had different religious traditions and their own cultural and economic organisation. The artificial concept of a single Czechoslovak nation - in which, however, its more plentiful, and therefore stronger, Czech element held sway - amounted to nothing more than a somewhat more subtle and artful version of the extirpation of the Slovak nation. It was in the spirit of this non-existent Czechoslovak unity that the traditional infrastructure of Slovak amateur theatre was disregarded. The location chosen for the incipient Slovak National Theatre, the nation's first such institution, was Bratislava. Almost anywhere else, notably Turciansky Sv. Martin or Liptovsky Sv. Mikulas or Nitra, would have had a better claim to being the centre of Slovak cultural life. This city on the state's southern border had at the time only a minority Slovak population, the majority of the inhabitants comprising Magyars, Germans and the adventitious Czech administrators, police and soldiers. There were virtually no amateur actors to speak of. It was a situation to which the Czecho-Slovak administration found its own response by inviting to Bratislava a provincial, second-rate Czech company from Pardubice, and this it was that became the basis of the emergent Slovak National Theatre. Auditions brought to the company no more than five (!) Slovaks, the nation's first professional actors: Andrej Bagar, Janko Borodac, Olga Orszaghova, Jozef Kello and Gaspar Arbet. Thus, from the outset, the Slovak National Theatre, located in the capital of Slovakia, played in Czech for Czech patrons. Moreover, Magyar and German audiences were more than generously catered for by the authorities: the city's Municipal Theatre, the venue of the Slovak National Theatre, was always made available a few nights in the week for visiting Magyar and Austrian companies from Budapest and Vienna. There were also occasional visits by Czech theatres from Prague and other towns. The twenties and thirties were marked by a lengthy fight to make the Slovak National Theatre Slovak; in other words, to make of it a place in which Slovak theatre culture could evolve. The state of affairs born of a misguided conception meant that particularly the first decade after the war was one of chaos, frequent changes of manager (one of whom, Oskar Nedbal, even committed suicide), muddled objectives, principled departures and, ultimately, the arrival of Slovak actors and directors. Starting at the end of the 1920s it proved possible first of all to stabilise the opera and ballet companies, perhaps because their genres are not so immediately involved with the sensitive issue of national language. But both were also fortunate in being headed by exceptional and broad-minded individuals - Oskar and Karel Nedbal for opera and the Italian Achille Viscusi for ballet - who managed to invoke the trends current in Europe at the time. In the 1930s Bratislava opera became a notable fixture on the central European map. Distinguished singers from abroad performed here, the first Slovak operas were staged (Jan Levoslav Bella's Kovac Wieland - Wieland Smith in 1926; Viliam Figus-Bystry's Detvan in 1928), and it was here that in 1935 Dmitri Shostakovich's Lady Macbeth of the Mtsensk District (Katerina Izmaylova) received its European premiere. The drama company remained throughout the 1920s no more than a provincial Czech theatre. Only the sustained political pressure of Andrej Hlinka and his confederates obliged the management of the Slovak National Theatre in 1932 to create a separate company, headed by director Janko Borodac, performing in Slovak. Even so, this national institution of the Slovaks retained its Czech company, led by Viktor Sulc. This Solomonic judgement remained in force until 1938. The period also saw the buttressing of Slovak theatre by the creation of the first theatre school, an Academy of Music and Drama (Hudobna a dramaticka akademia) in Bratislava. The only other professional theatre to come into being at that time was in Kosice, but this endured only from 1924 to 1930, to be re-established in 1937. However, when Miklos Horthy's fascist Magyar troops entered the city (1938) the Slovak theatre there was abolished and was revived only after the Second World War. Puppet theatre in those decades built on the fine tradition of the Strazan family, but still remained in the hands of small operators who received no interest or support from the Czecho-Slovak state. Nineteen years in the life of the Slovak theatre (1920-1938) were marked, then, by the fiction of the Czechoslovak nation, which relegated it to a status of backwater. And yet, even at the beginning of the century there had emerged the formidable individuals who had laid the foundations of Slovak theatre culture: writers and dramatists Jozef Gregor Tajovsky, Pavol Orszagh Hviezdoslav, Ivan Stodola, the symbolist Vladimir Hurban Vladimirov and Julius Barc-Ivan; directors Janko Borodac, Jan Jamnicky and Ferdinand Hoffmann; actors Andrej Bagar, Frantisek Dibarbora, Olga Orszaghova-Borodacova, Hana Melickova, Martin Gregor and Ondrej Jariabek, and subsequently Mikulas Huba, Viliam Zaborsky, Frantisek Zvarik, Gustav Valach, Ladislav Chudik, Maria Prechovska, Maria Kralovicova; and opera singers Janko Blaho, Helena Bartosova, Stefan Hoza, Margita Cesanyiova, Maria Kisonova-Hubova, Rudolf Petrak and Emil Schutz. By the 1930s, and after decades of hardship, Slovak theatre had the necessary basis for a sharp upturn. As mentioned, the first positive signs of this came in the Slovak National Theatre's opera company, and it was a trend that continued throughout the decade and into the 1940s, culminating in 1949 with the staging of the most successful Slovak opera to date, The Whirlpool - Krutnava by Eugen Suchon. There were changes to the good, too, in the drama, bringing fruits in the 1930s and 1940s, the trend here being sustained until 1948. The ballet corps had been moving towards a professional standard - thanks to maitre de ballet and choreographer Achille Viscusi - from as early as the 1920s. It is a paradox that the first apogee of Slovak theatre, when a number of outstanding achievements were recorded, should come at the end of the 1930s and the first half of the following decade - in other words, at the time of the Second World War. Slovakia found itself between two totalitarian states - Nazi Germany and the Stalinist Soviet Union. As a consequence of internal division in Czecho-Slovakia, when the maintenance of centralist pressure and the stifling of democratic principles of autonomy by Prague proved no longer tolerable, demands for the independence of Slovakia became the more clamorous. This coincided with Hitler's efforts to incorporate the Czech lands and Moravia into the German Reich. In 1939 the Slovak Republic was formed, Jozef Tiso becoming its president. It was a republic fettered by the powerful influence of Germany, which assumed the new state into its protective zone, with all the familiar negative consequences this entailed. And yet, in this Slovak Republic people of democratic constitution were able to maintain for themselves sufficient latitude for a relatively free artistic life. In all the other European countries at the time (including Spain, Germany, occupied France, Poland, the Protectorate of Bohemia and Moravia, Hungary and Soviet Union) members of the interwar avant-garde suffered victimisation and were either obliged to emigrate or were killed. But in Slovakia artists, writers and people of the theatre animated by the century's modernist trends continued to operate unimpeded. The Slovak National Theatre, for example, not only accommodated the director Janko Borodac, a devotee of the realist Stanislavsky System, but also afforded great creative scope to fellow director Jan Jamnicky, who was directly inspired by the pre-war Russian, Czech and French avant-garde. And there was also another director in the modernist mould, Ferdinand Hoffmann. Maximilian Froman, a Russian emigre and former member of Diaghilev's Ballets Russes, was a director with the corps de ballet. Opera saw the advent of a large number of young Slovak singers who would later create a distinct Slovak school of singing noted for its expressive style. The first half of the 1940s also advanced the diffusion of professional theatre to the regions through the establishment of new companies - first at Nitra (1939), and then at Presov and Martin (1944). Nor did this lucent stage in the development of Slovak theatre end with the arrival of Soviet troops and the demise of the Slovak Republic in 1945. The renewal of Czecho-Slovakia and its assumption into the sphere of influence of Stalin's Soviet Union did, however, bring a gradual elimination of Slovak autonomy, the abolition of democratic institutions and, ultimately, the seizure of power in 1948 by the Communist Party. Only then did this first period of Slovak theatre's great expansion come to a close. It ended with the negative critical reception of two avant-garde productions of works by Slovak Romantic poets: Jan Botto's The Death of Janosik - Smrt Janosikova and Andrej Sladkovic's Marina, both in 1948. In opera the end came with the staging of Eugen Suchon's The Whirlpool - Krutnava in 1949. The 1950s brought a slackening of pace, doctrinairism and isolation from the European scene. The only gain was the establishment of new theatre institutions, motivated by the imperative of Communist Party policy that art be brought to the labouring masses. New theatres were founded, starting at the end of the 1940s, in all of Slovakia's larger towns: Kosice, Zilina, Povazska Bystrica, Trnava, Zvolen, Spisska Nova Ves and Komarno. There was also a Village Theatre (Dedinske divadlo), which had as many as four companies. In 1949 Bratislava acquired an Academy of Performing Arts (Vysoka skola muzickych umeni), which trained actors, directors, repertory advisers and set-designers. The year 1953 saw the creation at the Slovak Academy of Sciences (Slovenska akademia vied) of a centre for theatre research, which in 1990 became autonomous as the Theatre and Film Department of the SAS (Kabinet divadla a filmu SAV). The 1960s brought the establishment of a theatre archive and publishing centre, which later transmuted into the Theatre Institute (Divadelny ustav). Further positive development arose only in the latter half of the 1950s and continuing throughout the following decade, when ideological constraints were surmounted and fresh sources of inspiration were sought. Directors encountered the theatre of Brecht, and severed ties with the European course were re-established. New generations of theatre people and dramatists appeared. Opera composers - including Eugen Suchon and Jan Cikker - rid themselves of the tendency to pathos and looked to the century's modern music. The legacy of Jan Jamnicky was taken up by directors Karol L. Zachar (The Merry Wives of Windsor, 1954) and Jozef Budsky, and Tibor Rakovsky staged modern drama (The Life of Galileo, 1958). Starting from the 1960s, major playwrights such as Peter Karvas and Ivan Bukovcan dispensed with ideological constraints and numbered among their sources of inspiration the modern world theatre - including Durrenmatt, Miller, Williams, Albee, Mrozek, Sartre, Beckett and Camus - which began to appear on Slovak stages. Set-designer Ladislav Vychodil enjoyed a particularly creative period, and a Bratislava school in the profession was established. If the 1950s were years of inertion and obscurity, the 1960s brought a new florescence and constitute Slovak theatre's second apex of the century. No longer, however, was this due solely to Bratislava theatres, but also to a number of others, primarily those in Nitra (director Pavol Haspra), Martin (directors Milos Pietor and Vladimir Strnisko) and Kosice (director Jozef Palka). It is interesting that many of those who in the 1950s had enthusiastically embraced the ideas of the then ascendant Communism soon returned to sobriety and from the 1960s fought against the failings of the regime, against the abuse of power and the growth of provincialism and careerism. The 1950s and 1960s thus seem to belong inseparably to each other like the two sides of the moon, two poles of the same generation. The end of the 1960s brought a further differentiation within the theatre. A new generation came forth and in drama gravitated to Bratislava's Theatre on the Corso (Divadlo na korze, 1968-1971). Professional mime made its appearance, mostly thanks to Milan Sladek and Eduard Zlabek, while theatre cabaret had its exponents in Milan Lasica, Julius Satinsky and Stanislav Stepka. There was substantial movement, too, at the end of the 1950s in puppet theatre. After 1948 most of the touring companies that had operated in the first half of the century had disappeared. A historic impetus came with the visit in 1948 and 1949 of Moscow's State Central Puppet Theatre led by Sergey Obraztsov. 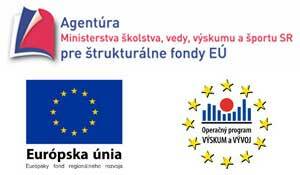 This company used rod puppets (controlled from below) and it was these that gradually achieved prevalence in Slovakia. A number of professional puppet theatres were established in the 1950s, in Zilina, Nitra, Bratislava, Kosice and Banska Bystrica. At Nitra Jan Romanovsky developed a distinct technique of control which was adopted by other companies. Starting in the 1960s the State Puppet Theatre (Statne babkove divadlo) in Bratislava became the focus of a group of aspiring individuals - artist Bohdan Slavik, repertory adviser Vladimir Predmersky and writer Jan Ozabal - who created an environment conducive to the staging of a number of poetic and symbolist productions, including Moment muzical (1967) and Concertino unisono (1973). From the end of the 1960s the puppet theatre in Banska Bystrica entered a period shaped by the personality of the dramatist and director Jozef Mokos. Opera and operetta were still being performed in the 1930s and 1940s by a single company at the Slovak National Theatre. Only at the turn of the 1940s and 1950s were separate operetta theatres established in Bratislava (1946) and Presov (1948). Operetta as a genre was by then considered decadent and, although works by the likes of Johann Strauss, Franz Lehar, Oskar Nedbal and Gejza Dusik continued to be performed, the 1950s also saw the import of new musical comedy from the Soviet Union (including Dunayevsky). A sea-change occurred, however, in the following decade and musicals of mostly American and Italian origin (My Fair Lady; Hello, Dolly! ; Fiddler on the Roof; West Side Story) began to be performed, joined in the 1970s by Slovak items such as Cyrano from the Suburbs - Cyrano z predmestia. Following a stagnation in the spheres of both singing and production in the 1950s, the 1960s saw a deliberate concentration of new opera singers and a gradual assault on the standard international repertory thanks to directors such as Milos Wasserbauer, Miroslav Fischer and Branislav Kriska. Throughout the second half of the century major new works by leading Slovak composers - including Eugen Suchon, Jan Cikker, Alexander Moyzes, Ladislav Holoubek, Bartolomej Urbanec, Tibor Andrasovan and Juraj Benes - provided an essential repertory of domestic opera. This outstanding period of Slovak theatre in all its genres was forcibly curtailed in 1968. The decade's attempts at democratic reform of the whole political system in Czecho-Slovakia, led by the Slovak politician Alexander Dubcek, had come to a head, and after a few months the interlude of "socialism with a human face" was brutally terminated by the invasion of the country by Warsaw Pact forces. There followed a period which the new rulers referred to as "normalisation". For the theatre this meant the abolition of a number of companies, including Bratislava's Tatra Revue cabaret and Theatre on the Corso, the victimisation of artists and an attempt to turn back the clock to the 1950s. Nevertheless, the 1970s and 1980s were not, in fact, decades of stagnation for the theatre, for artists spontaneously rejected the ideological impositions and refused to identify with the principles of a re-installed socialist realism. In order to elude ideological control and possible censorship they began - in keeping with the trend in theatre internationally - to relegate the literary component in theatre and emphasise elements uniquely characteristic of the art form itself: acting, direction and visual and musical presentation. Scripts and opera libretti were increasingly treated as mere guidelines; what was important was the theatrical interpretation. Primacy passed from the author to the director and his team. This trend was promoted mostly by a new generation which made its appearance in the course of the 1970s. It included directors Lubomir Vajdicka, Jozef Bednarik, Blahoslav Uhlar, Juraj Nvota and Roman Polak, the opera director Marian Chudovsky, and set-designers Jozef Ciller and Jan Zavarsky. In puppet theatre the same tack was taken by the Banska Bystrica company under Jozef Mokos and its Bratislava counterpart. Opera had to wait until the end of the 1980s for these new trends to prevail, with Jozef Bednarik's 1989 production of Faust achieving international success. The 1970s in theatre also saw a return to the classics of both domestic and international drama, frequently invoked for their humanism. New works sometimes still adhered to traditional dramatic form (including those of Jan Solovic, Osvald Zahradnik and Mikulas Kocan), but there were also many texts written for a particular production or which resulted from collaboration of the whole company (the case of, for example, Karol Horak) or from stage improvisation and clowning. The pre-eminent position of Bratislava theatres became less marked and more and more creative impulses came from a number of companies outside the capital, including from amateur theatre. The younger generation asserted itself first at theatres in Martin, Trnava and Nitra, and then Presov. For the Slovak National Theatre the 1970s were a period of stagnation occasioned by the departure of the older generation. A progressive trend was to be seen in this and the following decade at Bratislava's Nova scena theatre, to which many directors and actors from the abolished Theatre on the Corso had transferred, among them Milos Pietor, Vladimir Strnisko, Martin Huba, Juraj Kukura, Magda Vasaryova and Marian Labuda. Opera, operetta and puppet companies all undertook a great number of foreign tours throughout the two decades. Singers Peter Dvorsky and Sergej Kopcak achieved an international fame, while sopranos Edita Gruberova and Lucia Popp enjoyed long careers at the world's major opera venues. The last decade of the century sees Slovak theatre in a stage of maturity. In the course of a hundred years the situation has changed radically and no trace remains of the amateurism of the first third of the century. On the contrary, theatre culture is exceptionally well developed, embraces all genres and forms, and boasts the same standard - be it in terms of repertory, acting, directing or set-design - as any other European country. When we consider the beginnings from which Slovak theatre has grown in the twentieth century, we can be in no doubt as to the enormous efforts invested by three or four generations of theatre practitioners. In Slovakia, as everywhere in Central Europe following the demise of the old totalitarian regime and the arrival of parliamentary democracy, the last decade is one of political and artistic freedom. It was only natural, however, that the collapse of totalitarian regimes should preface the dissolution of artificially constituted states in the region, including Czecho-Slovakia. 1993 saw the creation of the Slovak Republic, its bith and first years dominated politically by Vladimir Meciar. Liberalisation in culture led to a still greater differentiation and decentralisation within the theatre, and several new companies were formed, including Astorka-Korzo`90. Dance and ballet seized the initiative, with a number of independent groups of dancers being formed. Returning from emigration, Milan Sladek revived his mime theatre in Bratislava (Arena, 1992). The dynamism of events has also been evident in the political diversification of theatres and in the occasional vehement involvement of the theatre community in the political life of the country. At the same time, however, economic conditions have changed radically. Theatres no longer receive the same level of financing as before, and numerous instances of reorganisation and paring of the theatre network have taken place, resulting in tension. Despite this, many companies have experienced positive audience reaction and promising progress. The Slovak National Theatre in Bratislava - and particularly its opera company - is somewhat better off financially than the rest. The theatres in Presov, Nitra and Martin have acquired new, modern buildings, and those in Kosice, Zvolen, Spisska Nova Ves and Bratislava (Nova scena) have completed reconstruction of their existing venues. Theatres catering for national minorities - Hungarian (at Komarno and Kosice), Ruthenian (at Presov) and Romani (at Kosice) - also enjoy a propitious climate. Paradoxically - or characteristically - for the end of the twentieth century, theatre productions reject excessive optimism and incline rather to pessimism, revealing the inadequacies and austerities of the contemporary world. There is more of the grotesque than there is of frivolous comedy. Contemporary European and American drama, above all, have established themselves. Slovak drama was less well represented, even in the Slovak National Theatre, a fact which has drawn sharp rebuke from the critics. The more important initiatives in terms of the progress of Slovak theatre in the 1990s have tended to come from smaller, fringe types of companies and the dramatists writing for them, including Rudolf Sloboda, Viliam Klimacek (GUnaGU Theatre), Blahoslav Uhlar (Stoka Theatre), Laco Kerata, Silvester Lavrik. Postmodernist principles have made their appearance. For commercial reasons several theatres have mounted lavish productions of musicals, and on the whole repertories feature more commercial productions than in the past. From the historical point of view it is an extremely interesting phenomenon how, in the space of a century, a strong national theatre culture has evolved from humble amateur origins - a culture historically continuous, internally richly structured and standing comparison with any other developed European theatre culture.